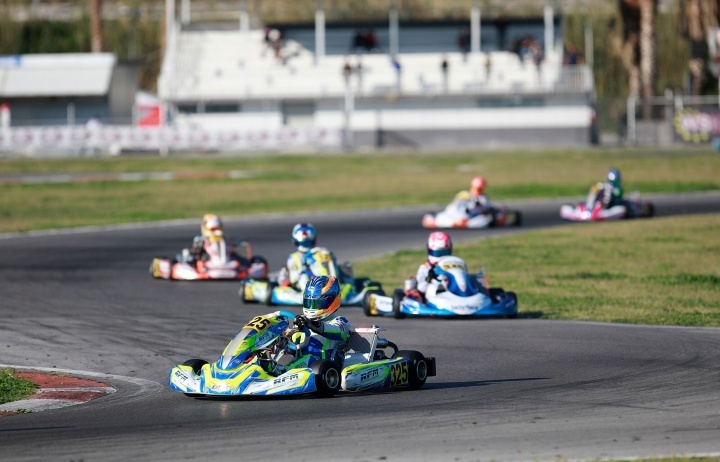 Laurens van Hoepen proved to be among the fastest drivers of the OKJ lot also in the first round of the WSK Euro Series at the Circuito Internazionale di Napoli. In Sarno, the Ricky Flynn Motorsport team driver confirmed the good things he did in the last act of the WSK Super Master Series, where he finished 2nd after getting the group pole, won 3 out of 4 heats and the Prefinal, winning one of the four races on a flying comeback and fighting for success also in the other three. A contact in the 3rd heat, however, made the weekend harder than expected, forcing him to recover even in the Prefinal. In it, an error while in the wake of the leader relegated him to 4th position, which then became 8th on the starting grid of the Final. In the Final, after a positive start, a contact with another driver forced him to raise the white flag, thus negating the efforts of the entire weekend. Van Hoepen will be back on track at Circuit Gabriel Thirouin (Angerville, FRA) from 19 to 21 April, the first of four European FIA Karting events.